The aim ofthis studyis to monitor and to assessthe physicochemicalwater qualityof the river Senegal during the rainy and dry season. The conventional physico-chemical parameters (pH, EC and DO), dissolved and suspended particles (turbidity and TSS), OM and nitrateswere considered in this study. The samples are collected at the Beni Nadji site between February and November 2012. The values of the measured parameters were compared with WHO standards for drinking water quality. The findings show that all the physicochemical parameters measured were within the tolerable values except the turbidity and TSS that exceeded with respectively the maximum values of 980 NTU and 674 mg/L for the rainy season only. The analysis of the correlation matrix can be noted strong correlations between the turbidity and TSS (0.996), turbidity and OM (0.924), TSS and OM (0.931), nitrates and TSS (0.814), nitrates and turbidity (0.800) and nitrates and OM (0.744). These strong correlations allow us to say that these parameters are governed by the same mechanism or phenomenon that could possibly be leaching during the rainy season. Therefore, frequent monitoring of physicochemical parameters of Senegal River water resources is imperative. Physicochemical, Water, Quality, Correlation, Senegal river, Mauritania. M. Ould Kankou, "Vulnérabilité des eaux et des sols de la rive droite du fleuve Sénégal en Mauritanie," Thèse De Doctorat, L'université De Limoges, Option Chimie et Microbiologie De l’Eau, France, 2004. A. D. N’Diaye, M. S. K. Mint, M. B. EL Kory, M. O. S. A. Ould Kankou and M. Baudu, "Contribution to space and temporal study of the physicochemical quality of water from the Senegal river right bank," J. Mater. Environ. Sci., vol. 5, pp. 320-329, 2014. Y. Ouyang, "Evaluation of river water quality monitoring stations by principal component analysis," Water Res., vol. 39, pp. 2621-2635, 2005. S. Shrestha and F. Kazama, "Assessment of surface water quality using multivariate statistical techniques: A case study of the Fuji river basin, Japan," Environmental Modeling & Software, vol. 22, pp. 464-475, 2007. A. Mencio and J. Mas-Pia, "Assessment by multivariate analysis of groundwater-surface water interactions in urbanized Mediterranean streams," J. Hydrol., vol. 352, pp. 355-366, 2008. M. Jadal, M. EL Ayouchi and L. Bennasser, "Qualité des eaux de l’estuaire de l’oued Om Rbiâ (Maroc) et influence de la dynamique marégraphique," L’eau, L’industrie, Les Nuisances, vol. 256, pp. 59–66, 2002. M. EL Mohrit, M. Fekhaoui, A. Serghini, S. EL Blidi, A. EL Abidi, R. Bennakam, A. Yahyaoui and M. Jbilou, "Impact de l’aménagement hydraulique sur la qualité des eaux et des sédiments de l’estuaire du loukkos (Côte Atlantique, Maroc)," Bulletin De l’Institut Scientifique, Rabat, Section Sciences De La Terre., vol. 30, pp. 39-47, 2008. S. Sambou, S. Tamba, M. T. Cisse and Y. Dieme, "Prévision des crues dans le bassin amont du fleuve Sénégal a l’aide de procédures adaptatives," Revue Scientifique et Technique, LJEE No 21 et 22. Spécial Colloque CIREDD, 2013. V. Patel and P. Parikh, "Assessment of seasonal variation in water quality of river mini, at Sindhrot, Vadodara," International Journal of Environmental Sciences, vol. 3, 2013.
WHO, Guidelines for drinking water quality, 3rd ed. Geneva, Switzerland: Recommendations, World Health Organization, 2006. 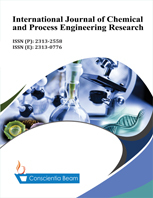 L. Singh and S. K. Choudhary, "Physico-chemical characteristics of river water of Ganga in middle Ganga plains," International Journal of Innovative Research in Science, Engineering and Technology, vol. 2, pp. 4349-4357, 2013. K. R. Radha, K. Dharmaraj, and K. B. D. Ranjitha, "A comparative study on the physicochemical and bacterial analysis of drinking, borewell and sewage water in the three different places of Sivakasi," Journal of Environmental Biology, vol. 28, pp. 105-108, 2007. V. Roher, A. Groleau, N. Escoffier, E. Gacia-Gonzalez, J. Pouillaude, and S. Guerin, "Suivi en continu de la qualité des eaux de surface: Cas de la Seine," Technique Science Méthodes, pp. 18- 29, 2013. M. Makhoukh, M. Sbaa, A. Berrahou, and M. Van Clooster, "Contribution à l’étude physico-chimique des eaux superficielles de l’oued Moulouya (Maroc Oriental)," Larhyss, vol. 9, pp. 149-169, 2011. K. P. Mahesh and C. Prabhahar, "Physico - chemical parameters of river water: A review," International Journal of Pharmaceutical & Biological Archives, vol. 3, pp. 1304-1312, 2012.